Smith Light Commercial | Jay R. Smith Mfg. Co. Recommended for roof drainage systems. This PVC roof drain has excellent weathering characteristics; it will resist rust and corrosion. The body of the PVC roof drain is inert to all roof deck and roofing materials. 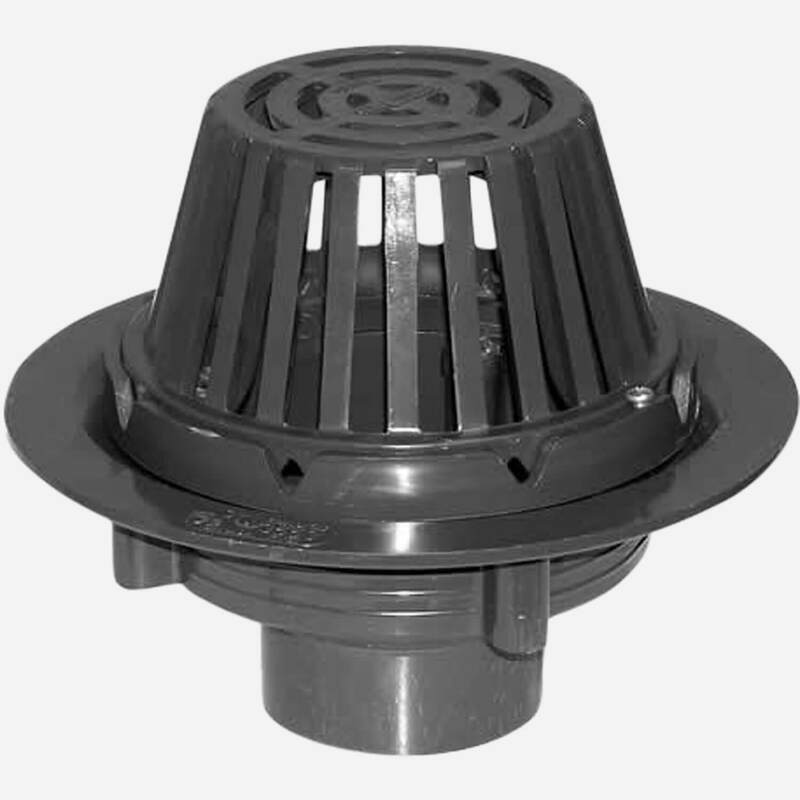 The roof drain consists of a large sump, a combined flashing collar and gravel stop, and dome. 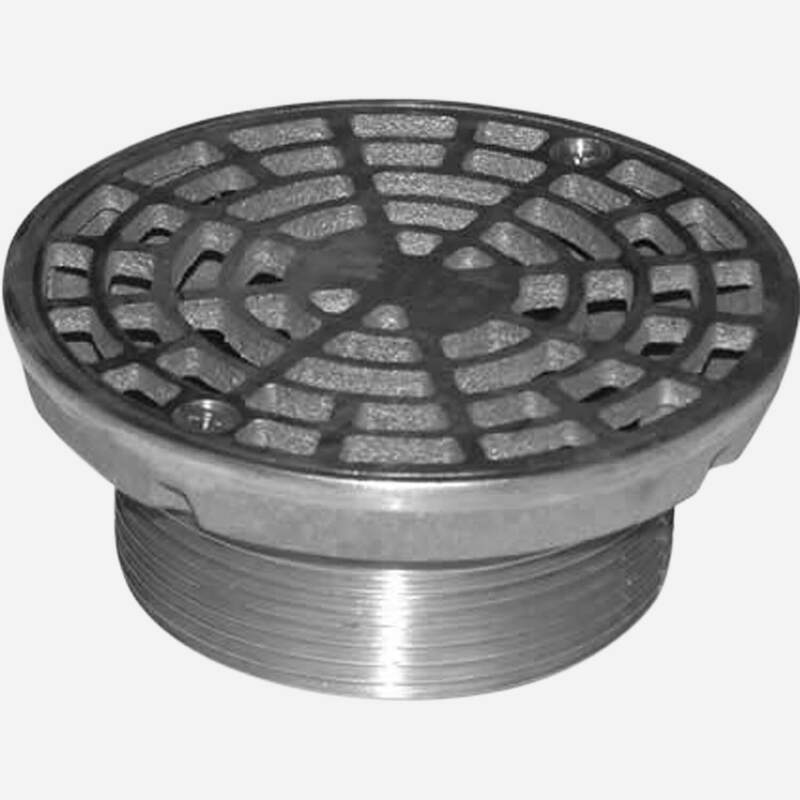 This small area roof drain is recommended for use on flat roof installation. 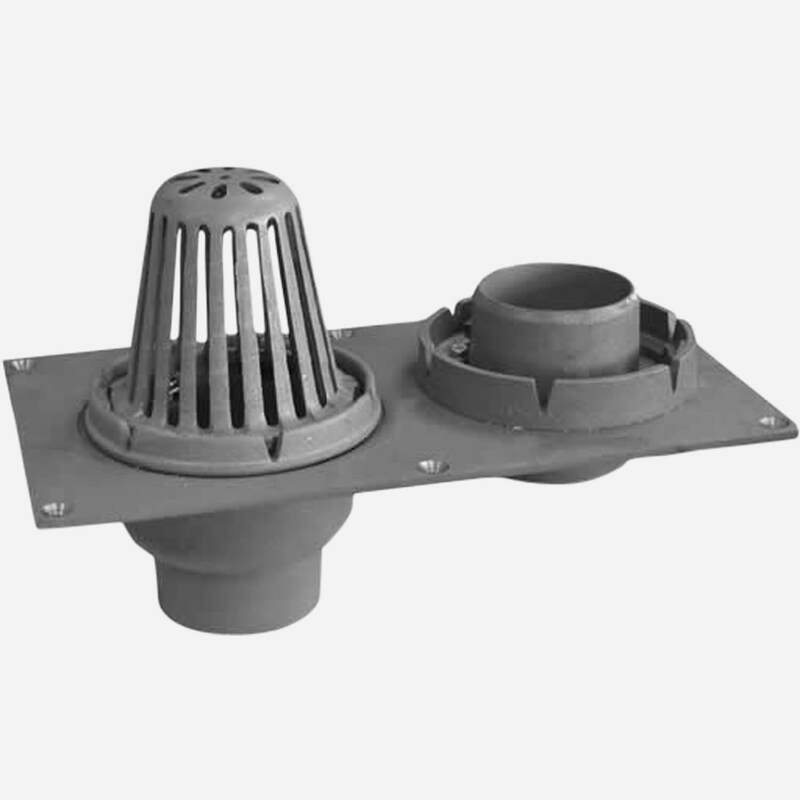 The roof drain is regularly furnished with a cast iron body, combination flashing clamp and gravel stop, and 6" high cast iron dome. 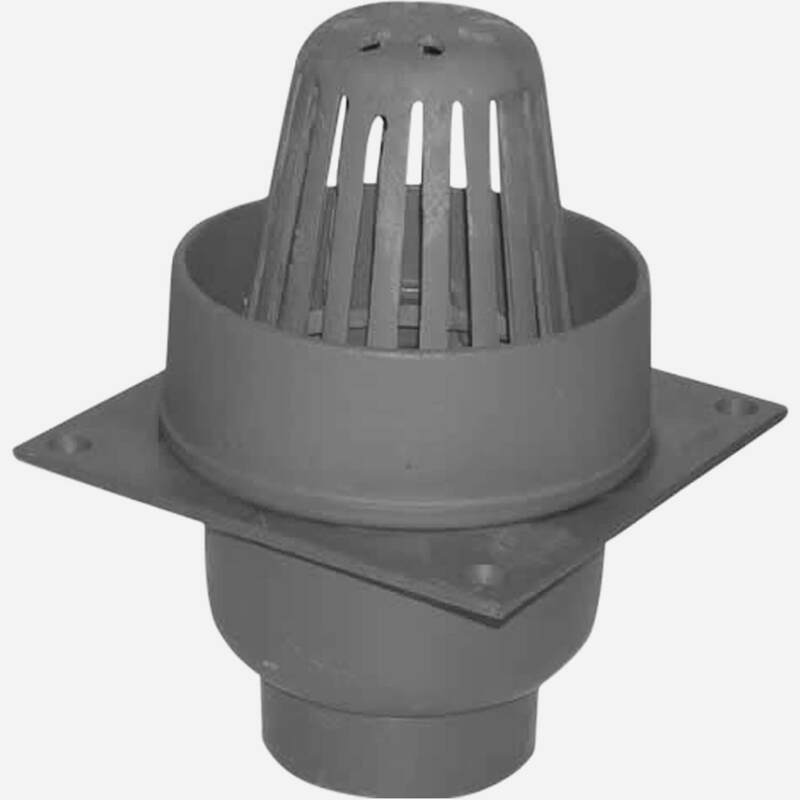 This cast iron small area overflow roof drain is recommended for use on flat roof installation. It is used as an emergency overflow drain for conventional roofs, .3draining water when the depth of the water on the roof reaches the water dam height. Recommended for use on flat roofs where the roof drain assembly serves asa conventional roof drain and overflow for emergency use. 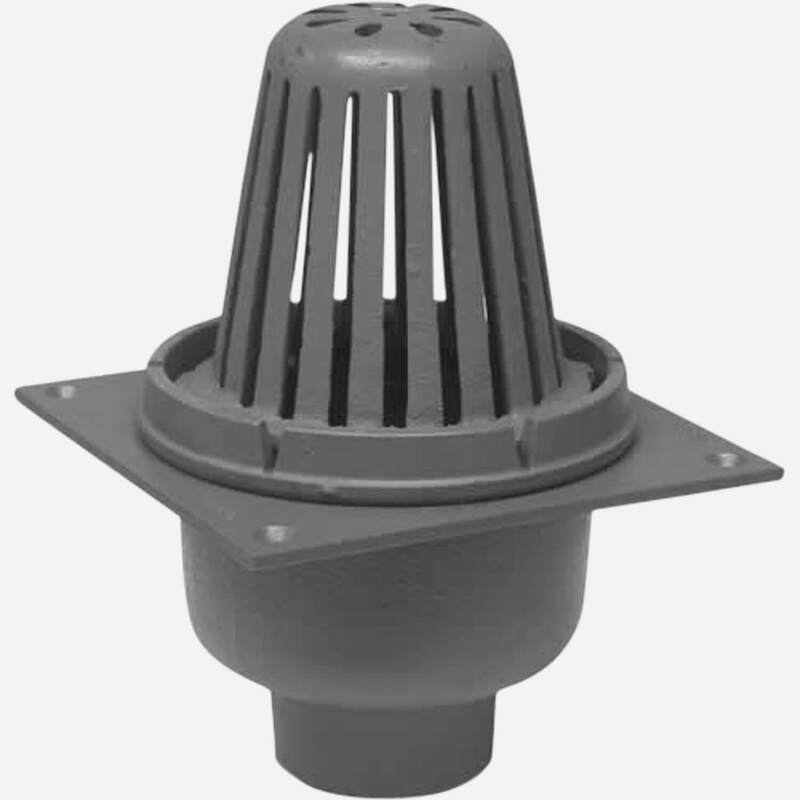 The combination roof and overflow drain consists of a cast iron roof and overflow drain with no-hub outlets, two cast iron combination flashing clamps and gravel stops, and one 6” high cast iron dome. All components are coated to protect against corrosion.